I had another visit from 6 month old Brady and his big 2 year old brother, Matthew. 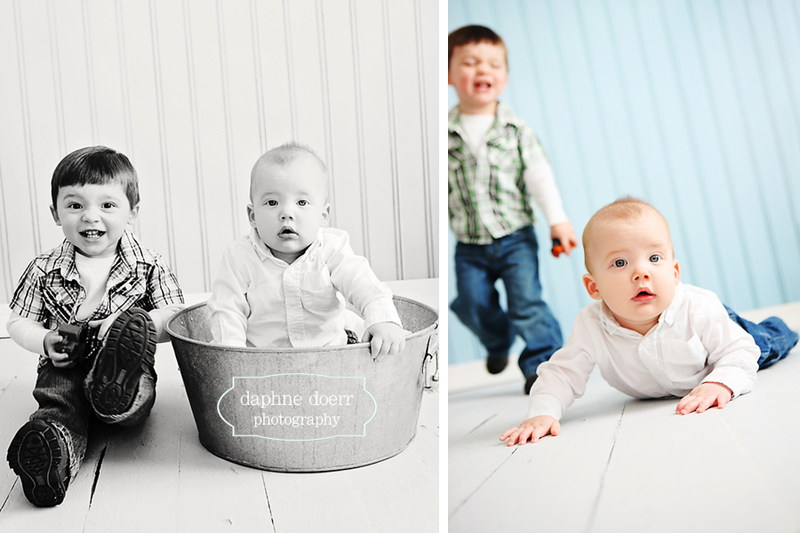 These boys are adorable…and definitely keep mom on her toes! Matthew had so much energy it’s a wonder his whole shoot isn’t just a blur of motion:) So good to see these little guys again! 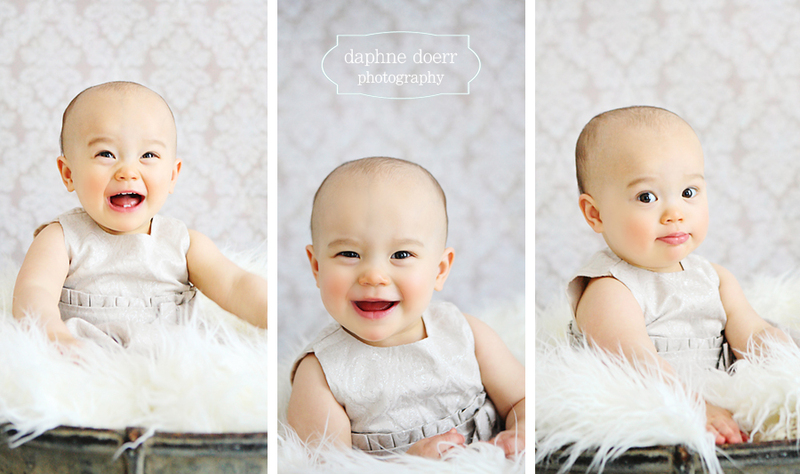 This little one year old was so much fun to photograph and was just so happy – such a sweetie. I just love the little bloomers with her initials on the rump! It was great to see the Boutell Family again and meet their newest addition, 10 week old Crosby. 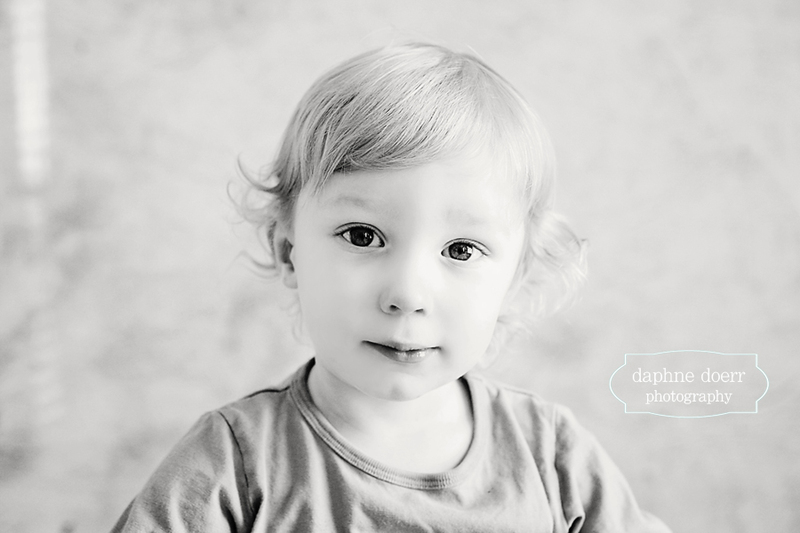 I can’t believe how big 2 year old Camden is already and those golden locks are so adorable!